A RUP LIFE: THE MIDDLE: THE COMPLETE THIRD SEASON - Review! THE MIDDLE: THE COMPLETE THIRD SEASON - Review! A Rup Life received a copy of this DVD for review purposes. This post contains affiliate links. Have you seen The Middle? I have to say it is one funny show! I think most parents of slightly older kids can totally relate to the parents in this show. The kids are quirky and really add character to the show! I love the younger kid Brick with all his social issues because we have a bit of that at home too. Oh and don't get me started on their financial situation! This show is the MODERN ROSANNE! The quirky misadventures of one of the Heartland’s most hilarious families, the Hecks, are captured on Warner Bros. Home Entertainment’s (WBHE) release of The Middle: The Complete Third Season, available on October 8, 2013. Family dynamics have never been funnier! This three-disc collection features 24 hilarious half-hour episodes plus bonus features including a laugh-out-loud gag reel and deleted scenes. Starring two-time Emmy® winner Patricia Heaton (Everybody Loves Raymond), Neil Flynn (Scrubs), Charlie McDermott (The Office), Eden Sher (Weeds) and Atticus Schaffer (Hancock), The Middle was created and executive produced by Eileen Heisler and DeAnn Heline (Roseanne, Murphy Brown, How I Met Your Mother). The Middle is produced by Blackie and Blondie Productions in association with Warner Bros. Television. 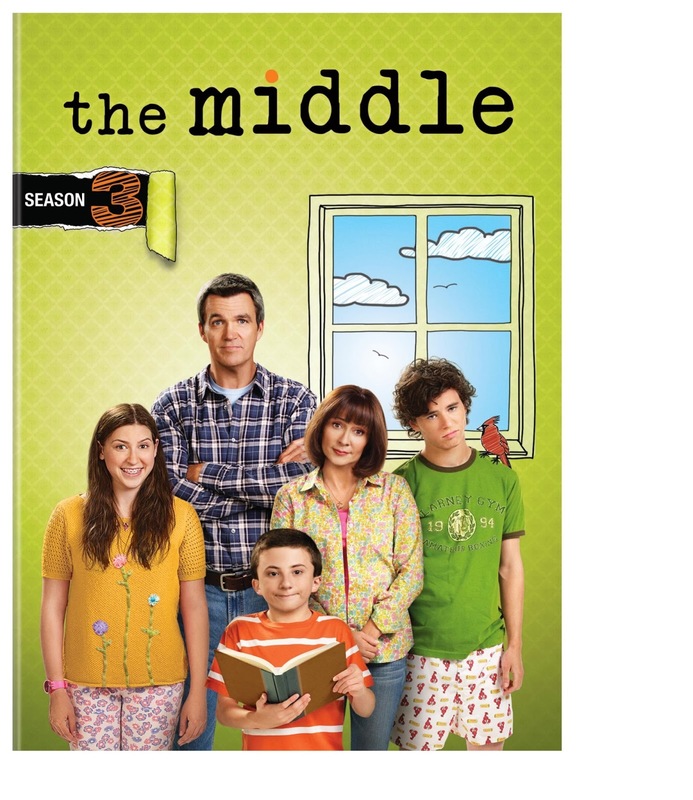 You can purchase THE MIDDLE: THE COMPLETE THIRD SEASON at your local retailers and online at places such as Amazon!